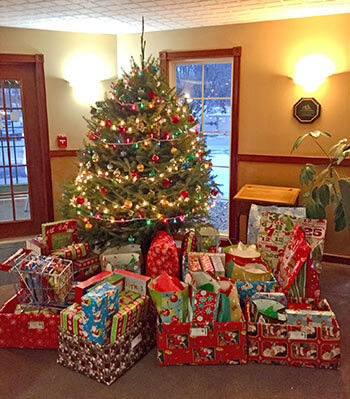 Since 2008 our firm has worked in conjunction with Rutland Regional Medical Center to brighten Christmas for those in need or fallen on hard times. We thought we’d share with you a photo of this year’s bounty, which typifies each year in which we have participated. Many other area businesses also participate in this most worthwhile project. If you, your company, or anyone else you know would like to be a part of this, contact Patricia Baird at Rutland Regional Medical Center (802.775.7111). It is truly gratifying.